went home to be with her Lord and Savior on Monday, April 15, 2019. She was predeceased by her loving husband Tony; parents Myrtle and Walter Dodd; brothers William, Ben, Burdick, Walt Dodd, Jr.; sisters Alberta Griffis, Dorothy Decker, Elsie Griffis and Grace Cable. She is survived by her loving and devoted sons Michael and Rae, Ronald and Linda Romano; grandchildren Jennifer Rogers, Bradley, Christopher, Matthew Romano; great grandchildren Tobin, Nevaeh, Katrina, Trevor, Anthony, Christopher, Dominick, Mason; special niece Pam Wasley and her husband Richard who looked after Betty, along with several other nieces and nephews. Also surviving is a very special friend Carol Elms and husband John who were always there to help Betty. 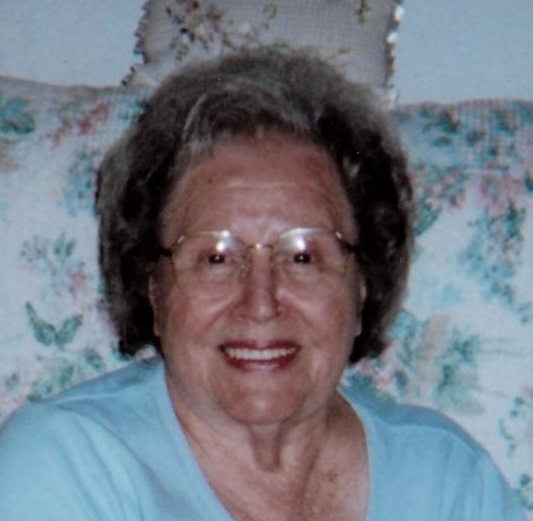 Betty was employed at Neisner’s and Sears for 11 years. She was a member of Boulevard United Methodist Church since 1950, sang in the choir, enjoyed Bible study and reading her Bible. Betty loved her home and family more than anything and always welcomed visitors in her home. A Funeral Service will be held on Friday, at 11:00am at the Barber Memorial Home, Inc., 428 Main St, Johnson City. Burial will be in Vestal Hills Memorial Park. The family will receive friends on Thursday, from 4:00pm-7:00pm and Friday from 10:00am until the time of the service at Barber Memorial Home. In memory of Betty, donations can be made to the Mercy House of the Southern Tier, 212 N. McKinley Ave, Endicott, NY 13760.